My mother grew up in the Four Corners area of Colorado, near Indian reservations. Her parents had a trading post where they sold meat, fruit from their orchards, vegetables from their garden, and basic groceries. Also gasoline and they fixed flat tires, important because it was an isolated area with no other services. 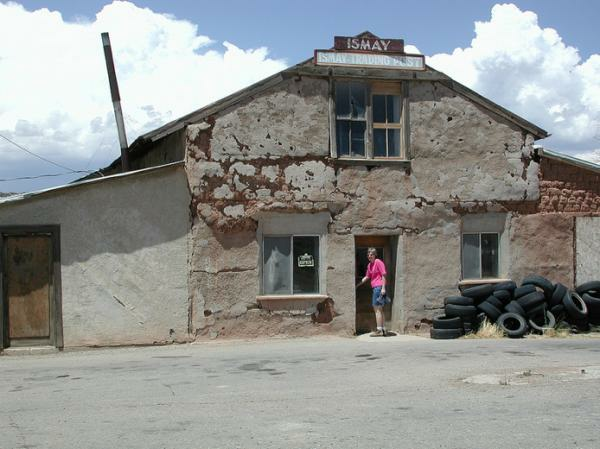 They traded Navajo rugs and turquoise jewelry for groceries, sold the rugs to tourists, and functioned as a pawn shop. This style of trading post is called bullpen. Their living room is in the background. 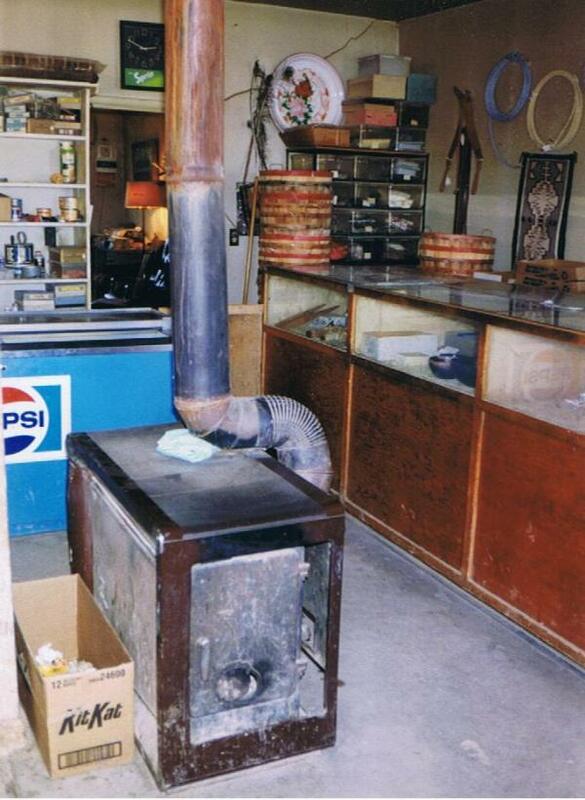 Back when my mother was growing up in the 1930s, their store was several hours from the nearest town - it was only 30 miles, but the road was that bad. Even when I was a kid in the 1960s it was so rough and winding it took more than an hour to get to town. One of my great aunts pissed off my grandad by telling him he was not doing right by his kids' education so he bought a house in Mancos, a town 50 miles from their home, so the kids could go to school there. I'm not sure why he didn't buy in the nearest town of Cortez, although it didn't make any difference - they couldn't have commuted on a daily basis. Because my grandmother needed to help run the business, the kids were on their own a lot. There were 9 of them, so there were older ones who could be sort of in charge. My mother told me how because there were no adults present, their school mates would come over there and stay too long. 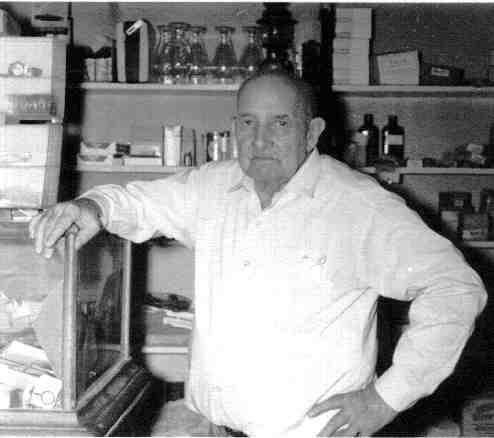 As part of that store, she described how one time my Uncle Eugene made biscuits with pieces of cloth in them, called them rag biscuits. And they'd short-sheet the beds that the visitors were sleeping in. Do you know how to short sheet a bed? My mother did that to people her whole life when she visited them in their homes. My mother graduated from high school at age 16 and got engaged to a local guy, then she took the bus to Denver and enrolled in business college. Her older sister Irene was already there, enrolled in nursing school and living in a boarding house. My mother didn't know the house address for some reason, so she had a cab driver cruise up and down the street, looking for a certain roof style that my aunt had mentioned in a letter. My dad, after a stint in the Navy, was attending that same business school. 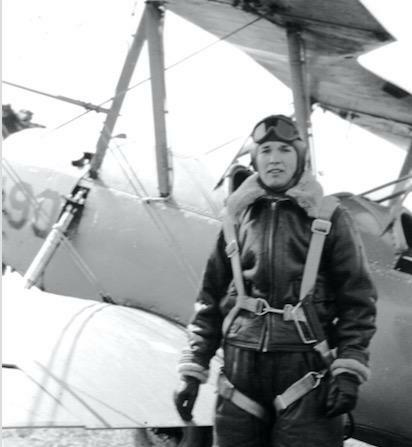 He was half owner of a Stearman bi-plane and sometimes flew it the 60 miles to Denver to go to school. Here's a something he wrote about it that I found after he died: "We would turn that thing everywhere but loose, rolls, hooks, spins, and what have you. I remember when it was tied down at the Berthoud airport there was a hell of a rain that put water in the gas tank. The Stearman had a visible gas tube extending below the wing. We drained all the water we could from the gas tank but whenever we took the airplane up and turned it over the tube would get about half filled with water. When we got back on the ground we would drain the water and the next time up we would upset it the tube would fill again. We never did get all the water out." The airplane was wrecked in big wind storm and they didn't replace it. 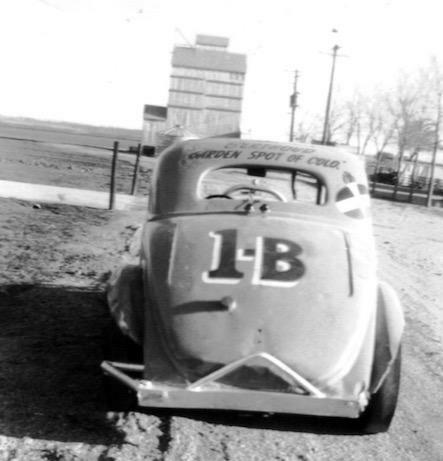 In the 1950s his hobby was racing stock cars. Here's his parked in front of our house, with some of the farm buildings in the background. It says "Garden Spot of Colorado" on it, the slogan for our small town. There was a circuit of race tracks in the state, and during the racing season, he was gone a lot, leaving my mother alone with three small children. She was 19 when they got married, and he was 24, and they got married because she was pregnant. He was a spoiled rich kid: his family owned the local bank. I have letters that my grandmother wrote to one of her daughters at the time they courting. She didn't like my mother much. She wrote: "the neighbor's daughter Mary Jane got engaged to that guy from across the street. I wish Tom would marry someone like her, not that Louise - she's just so hard to take." That's when they were dating. When it developed that they had to get married, if she wrote anything about it, that letter wasn't in the packet, and she didn't make any more comments in later letters. I forgot to say how my mother got from being engaged to the hometown boy to marrying my dad. They met at the business school and they dated, he said that if her fiance wanted to keep her, he shouldn't have let her leave home. When they graduated, my mother found a bookkeeping job in the next town to where my dad lived, so they could continue seeing one another. That fiance never got over it, he called her once a year for 17 years. Finally, in 1967 he showed up at our house, rode in on the bus. He seemed like sort of a loser to us, teenagers that we were, and the fact that he didn't have a car. He and my dad reached an understanding that he'd stop contacting my mother. I don't know if money changed hands. I just read this and it was fascinating. Your Mom must have been a hottie. This is cool to read, and those are great photos. I know almost nothing about my parents' lives when they were young. I love that pilot and plane photo. It's good to have a detailed history of your family--I know the basics of my 4 grandparents but that's about it.